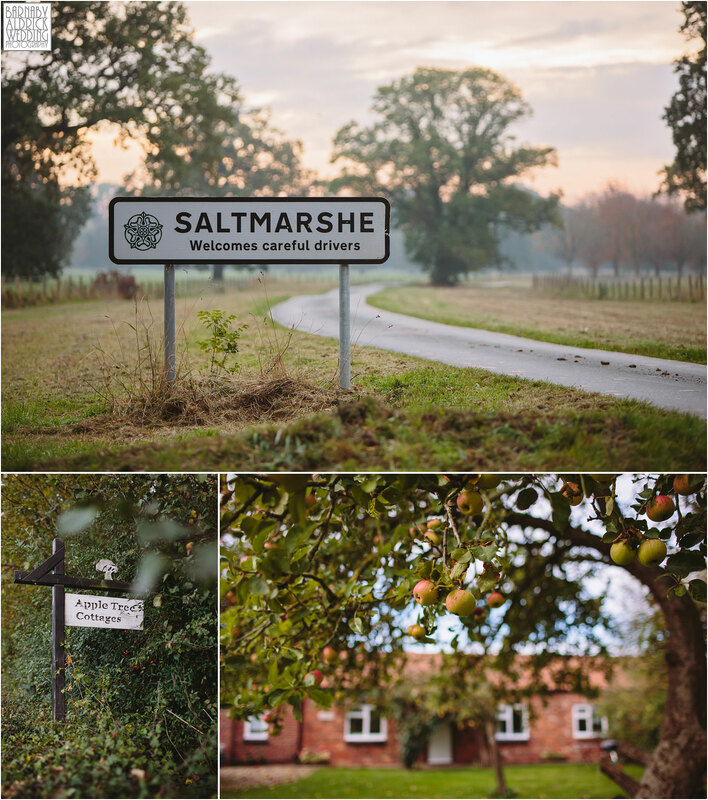 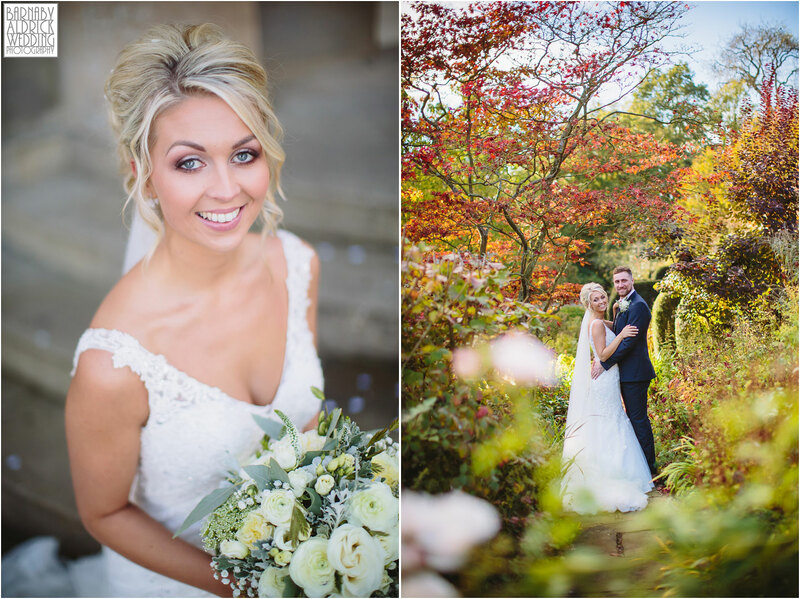 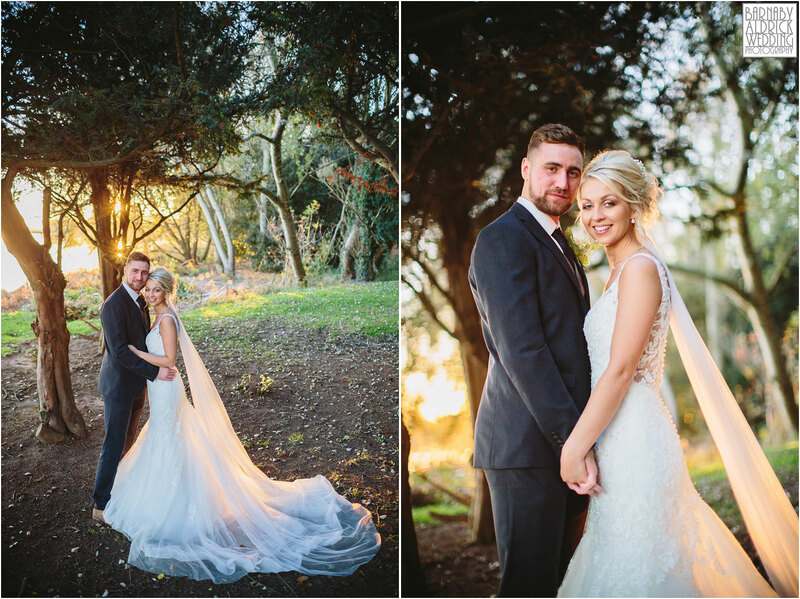 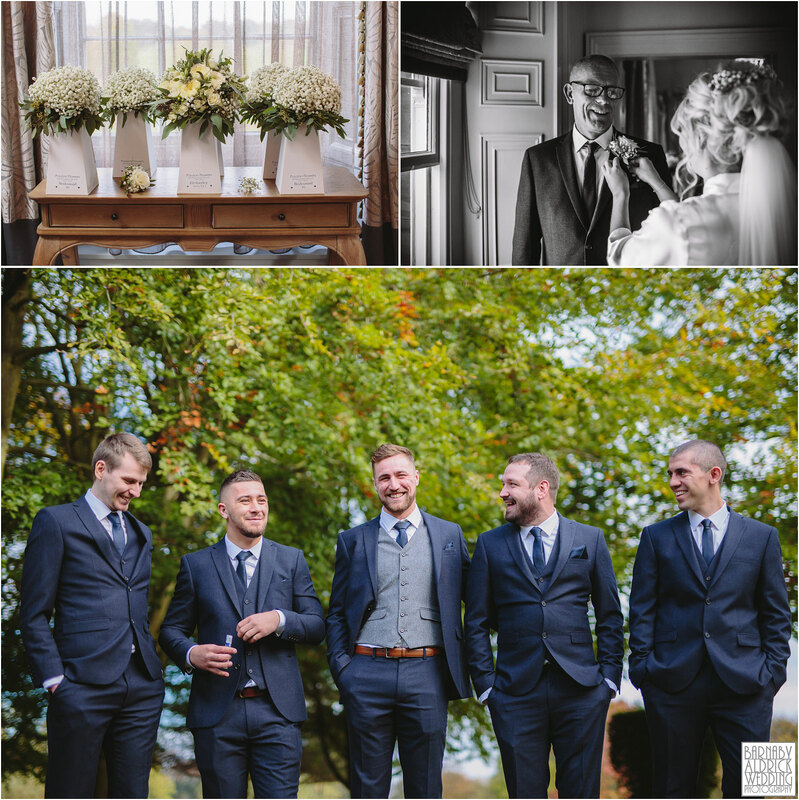 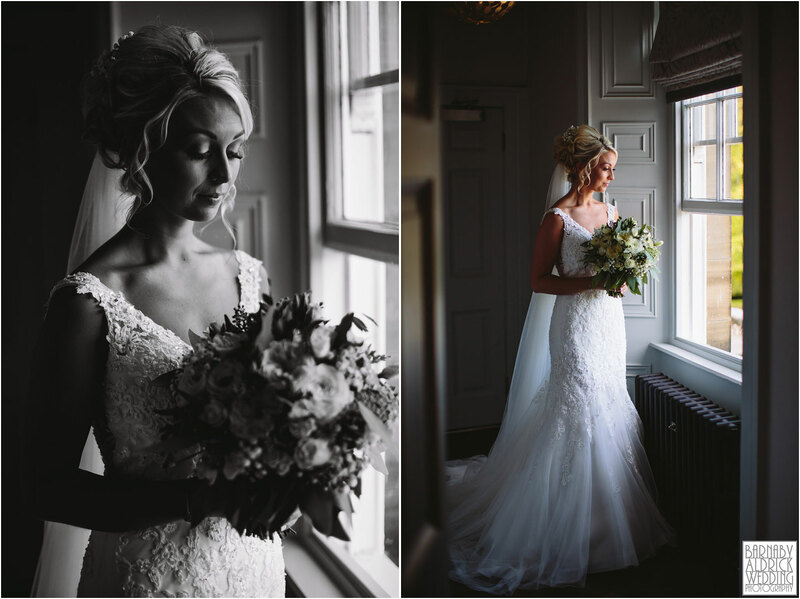 Last Saturday I joined Kim + James for their Autumnal wedding photos at Saltmarshe Hall near Goole in East Yorkshire! 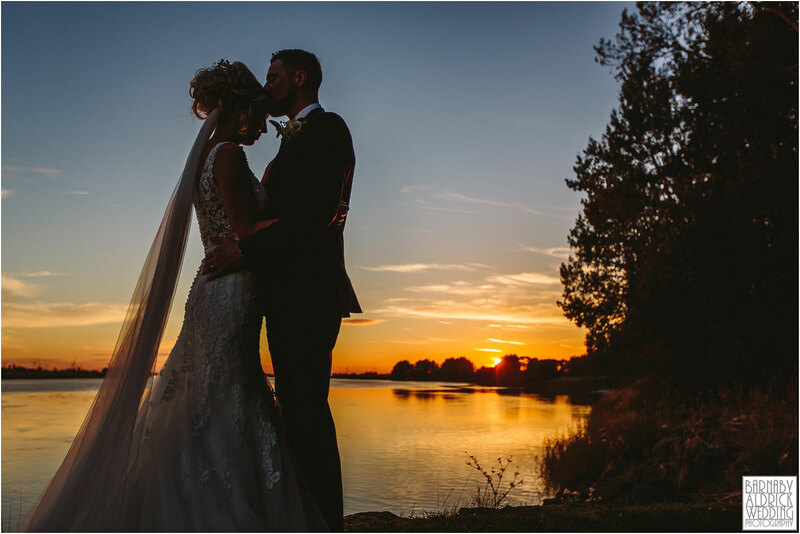 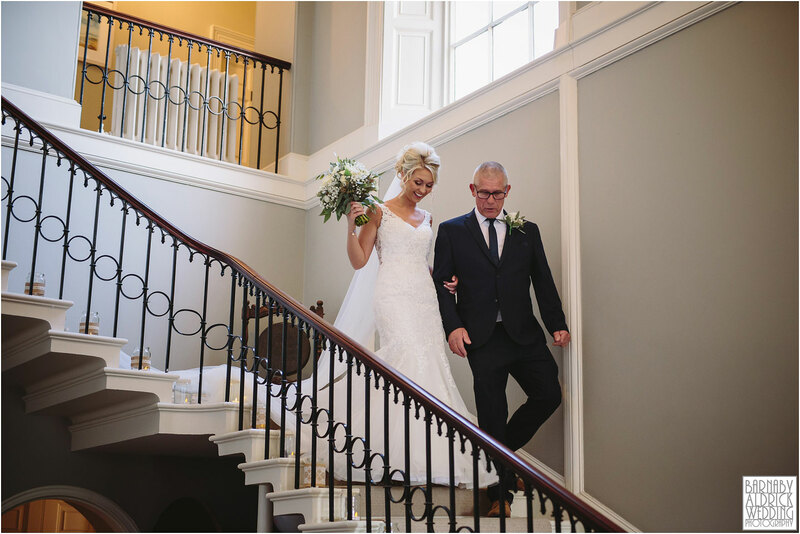 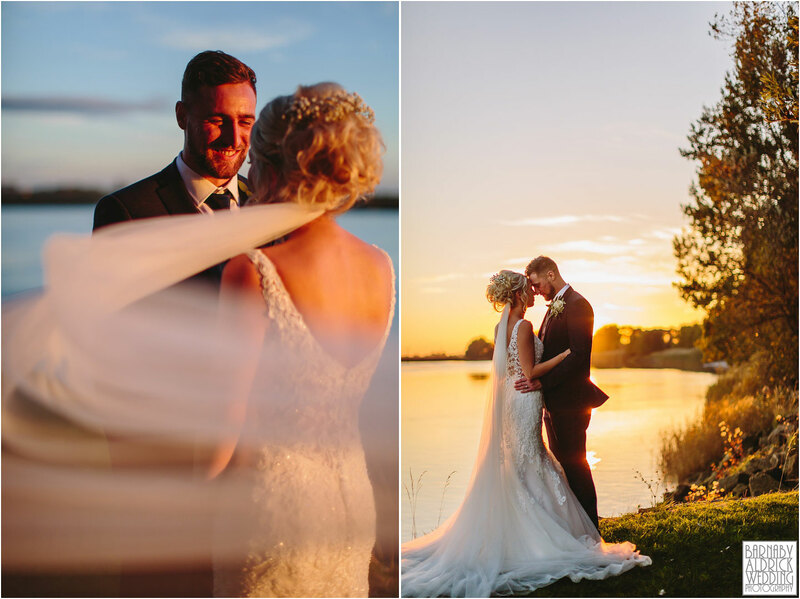 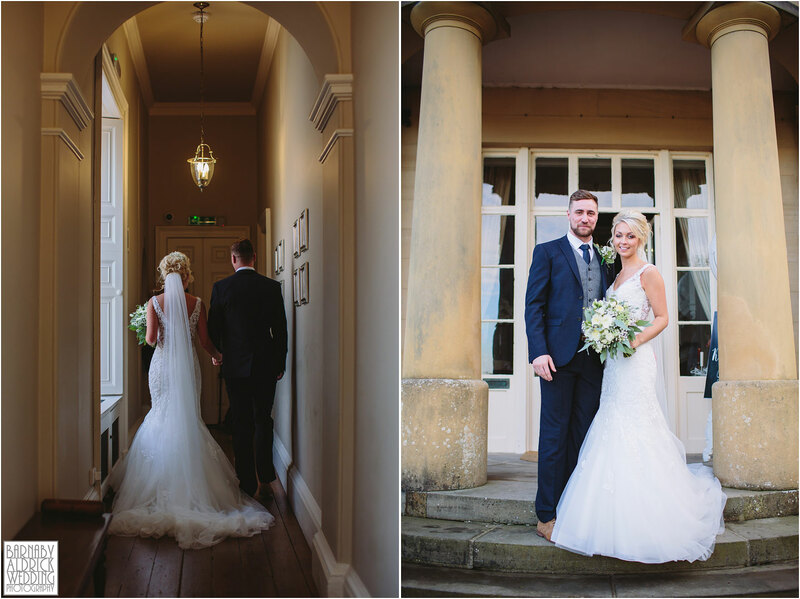 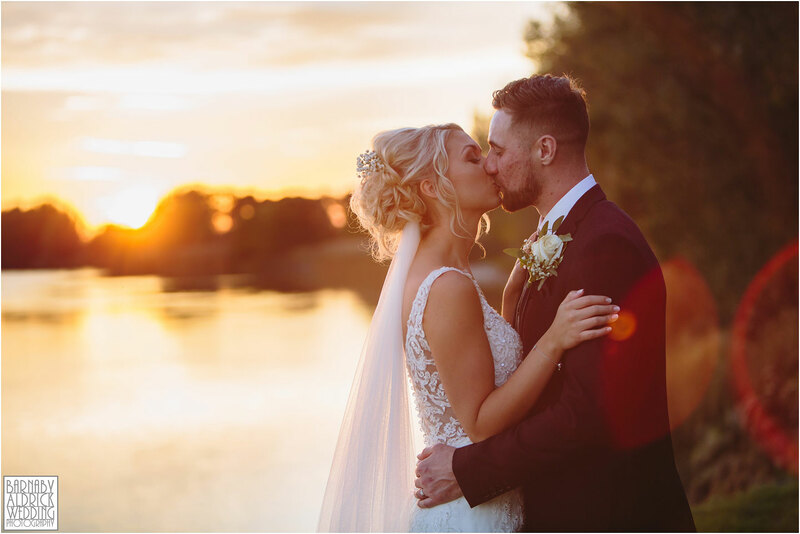 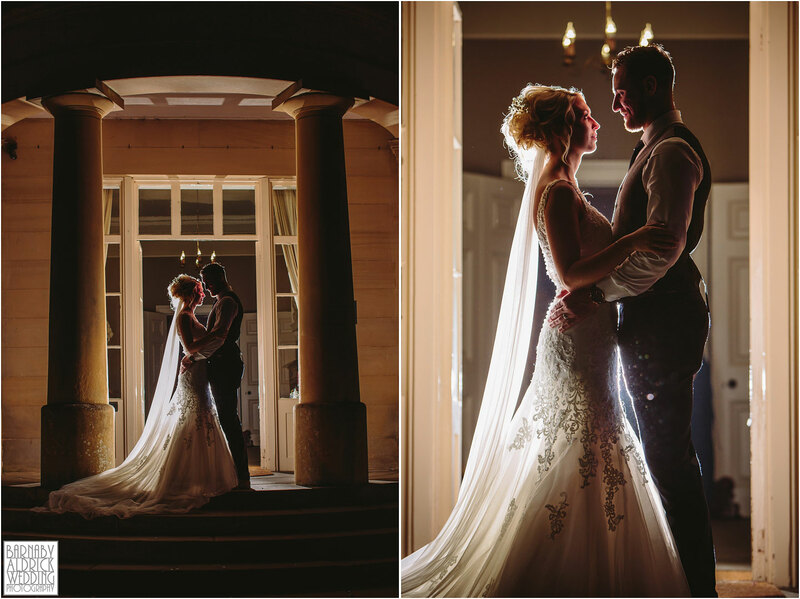 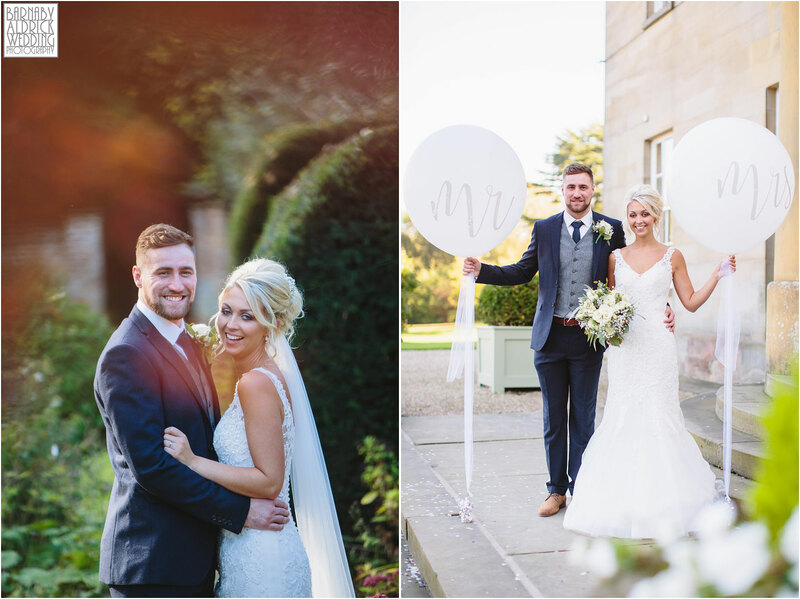 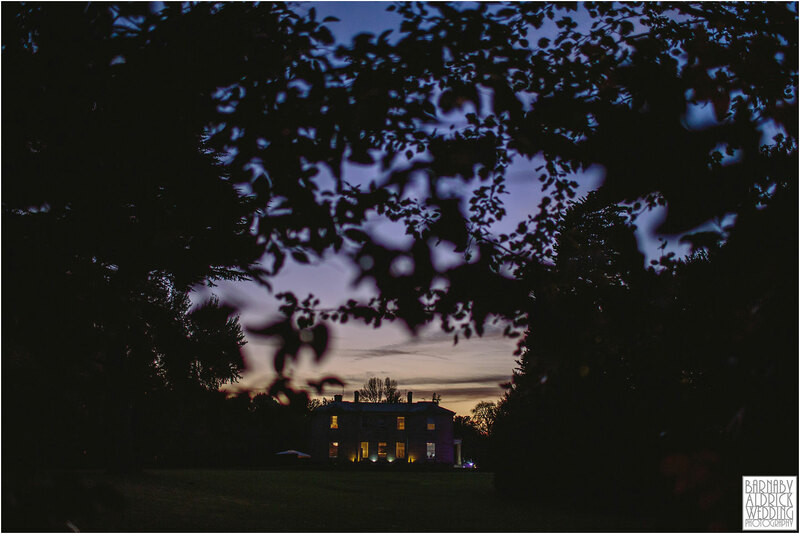 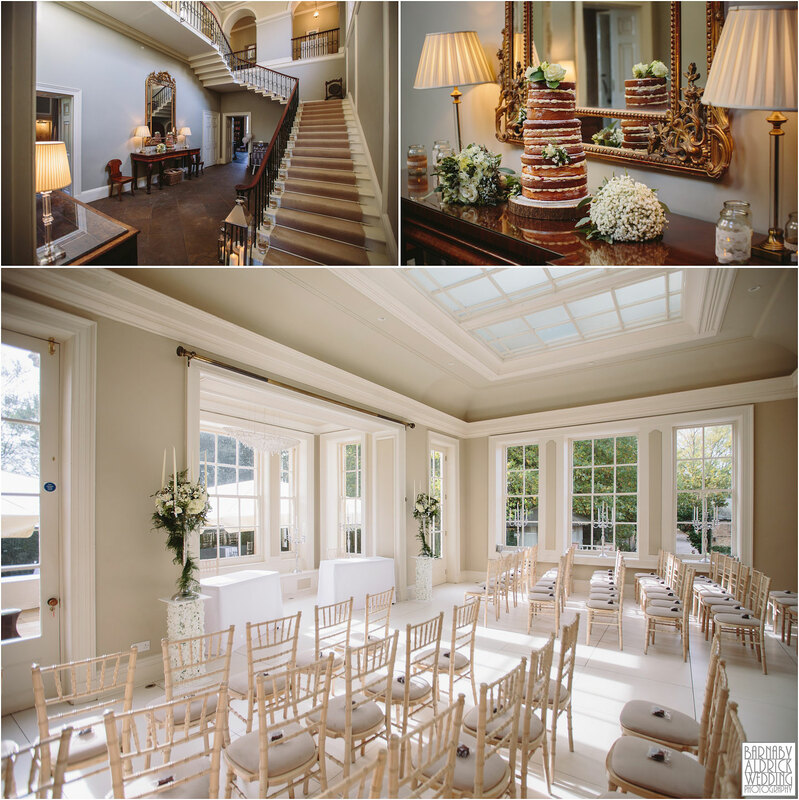 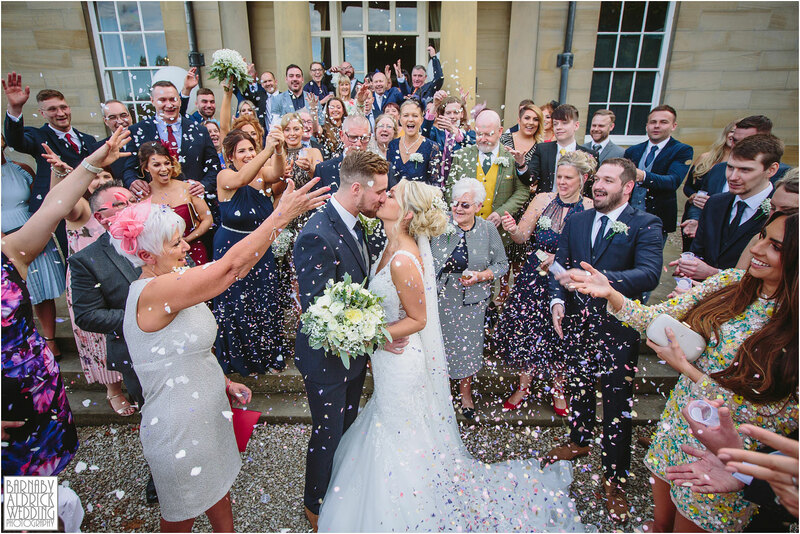 It’s a stunning country house wedding venue on the bank of the humber, with gorgeous grounds and stunning interior design. 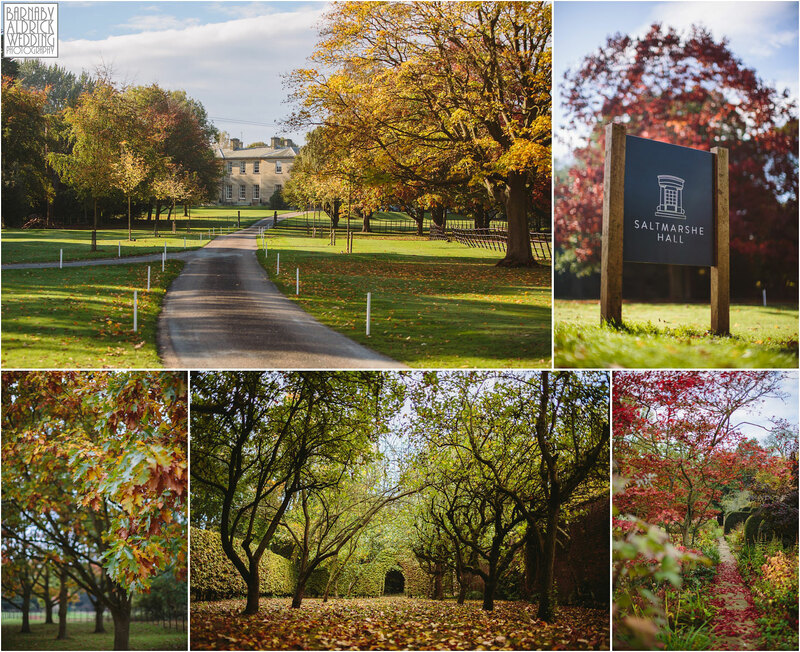 It was a stunning crisp Autumn day around Saltmarshe Hall, a grade II* listed 19th-century country house on the banks of the Ouse. 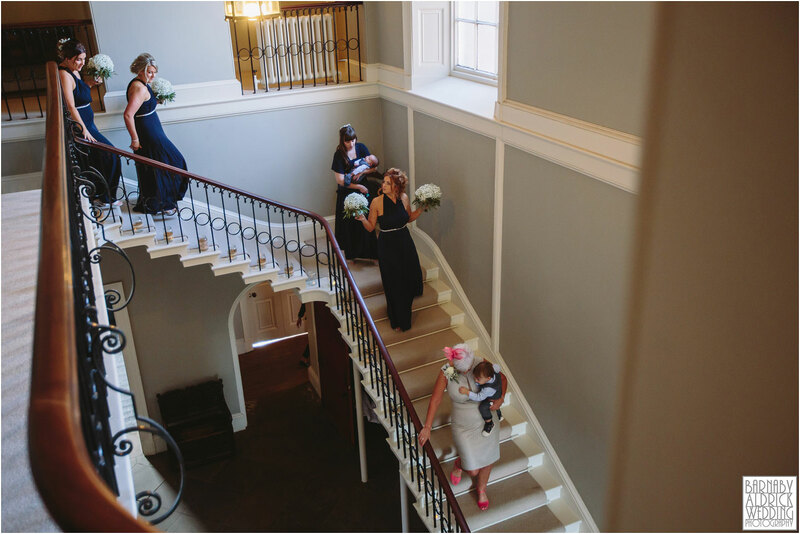 While my wingman Hamish hung with James and the dudes, getting ready around the halls beautiful library, I joined Kim and her excitable bridesmaids at Apple Tree Cottages a short walk from the Hall. 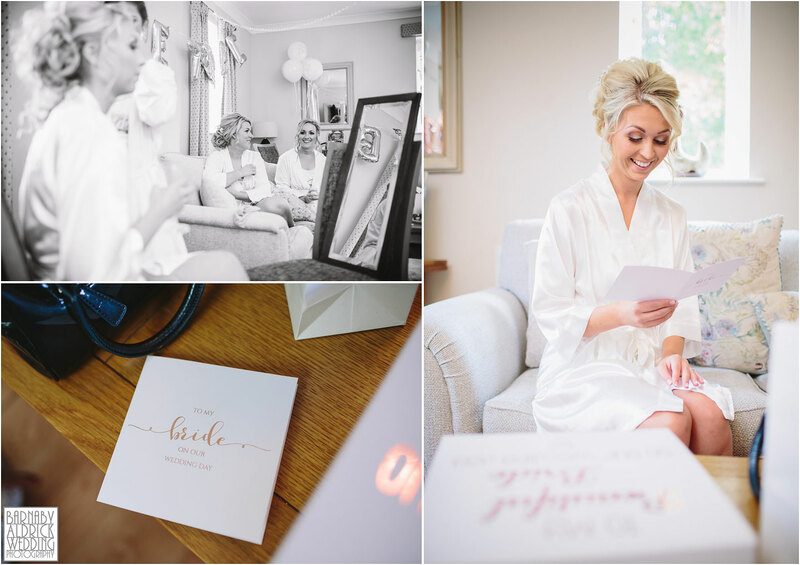 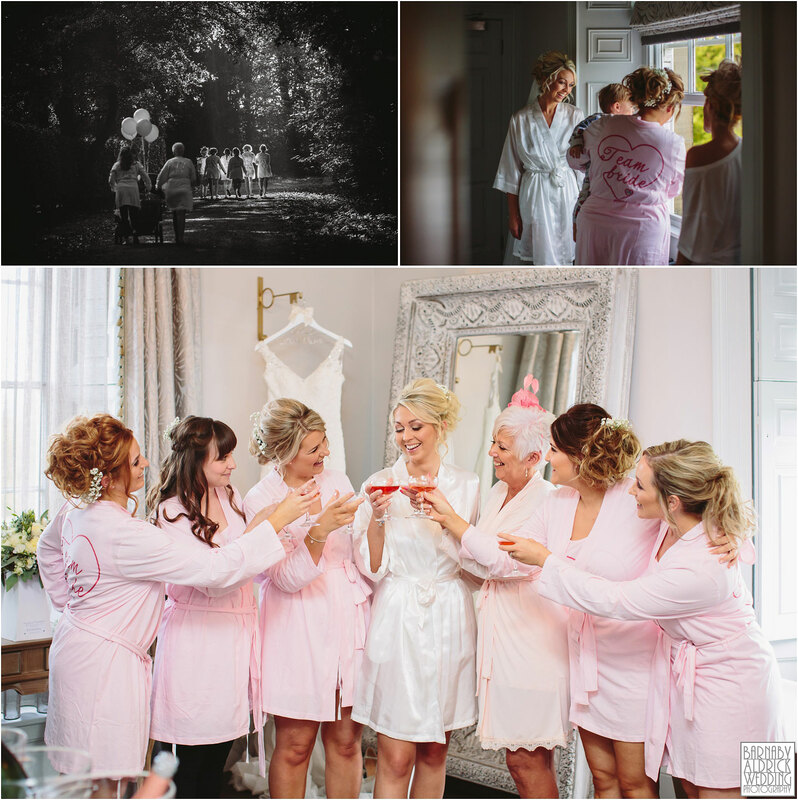 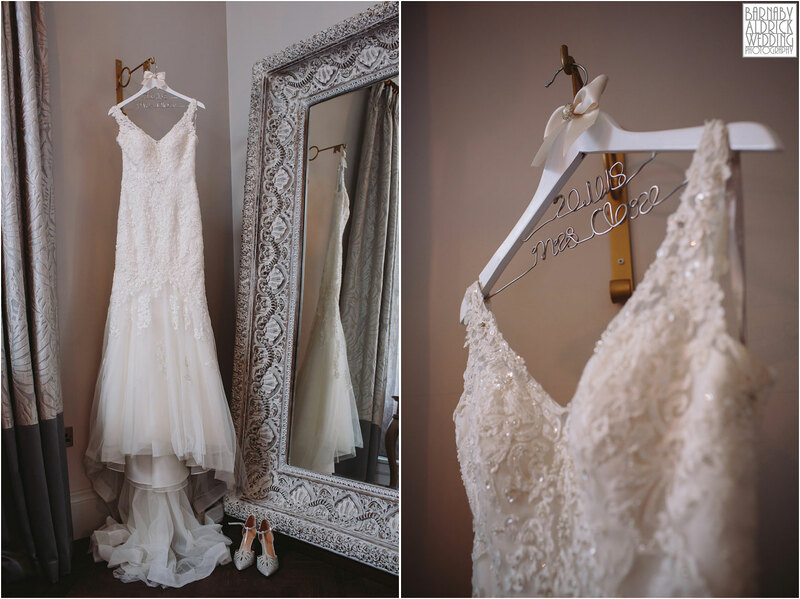 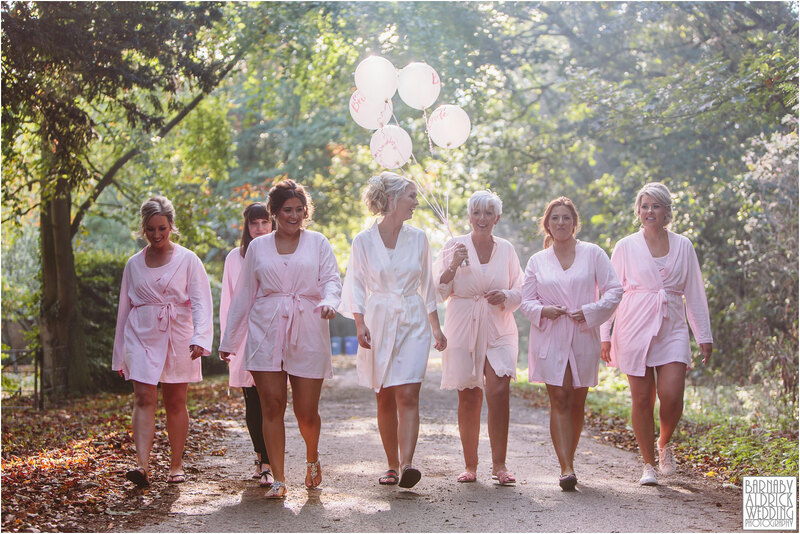 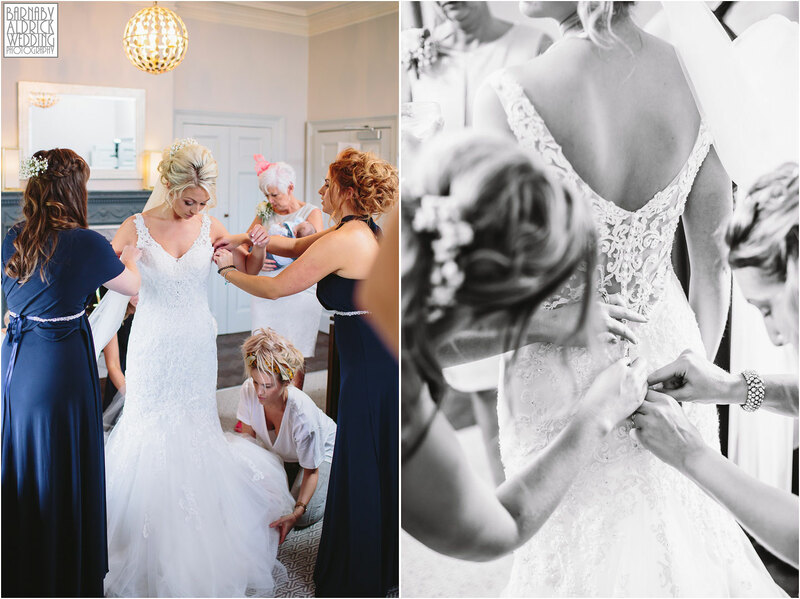 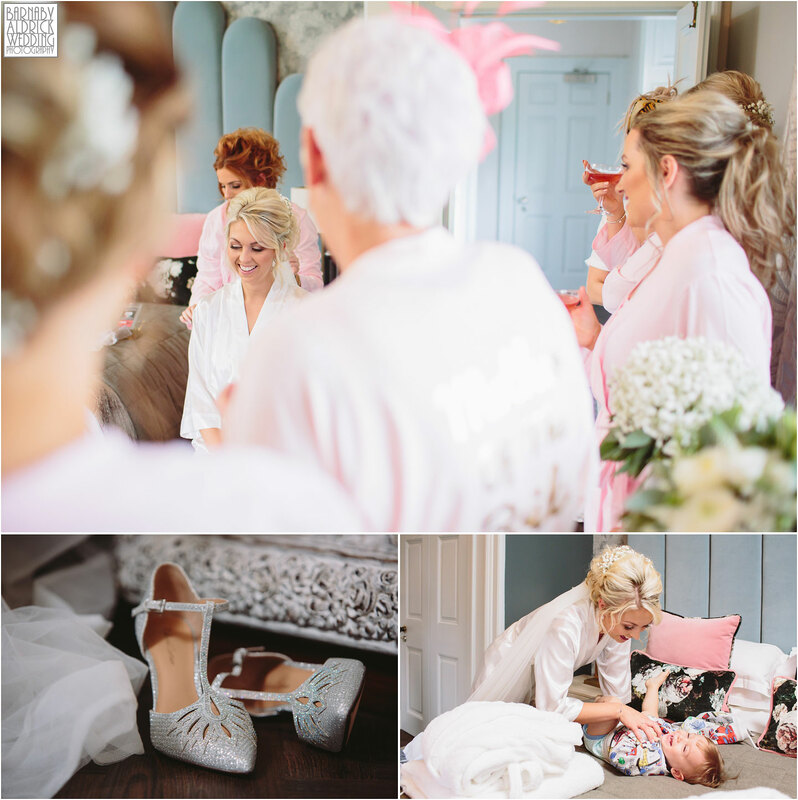 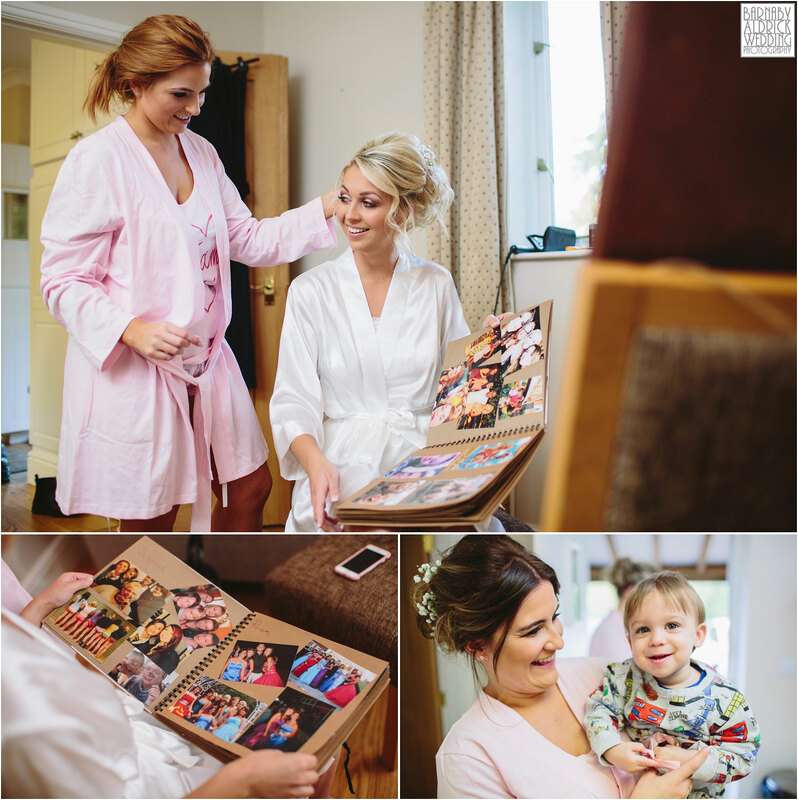 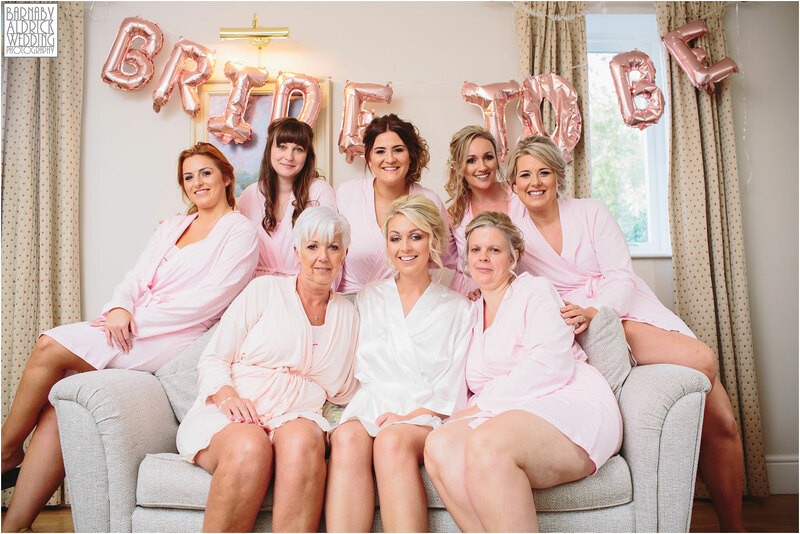 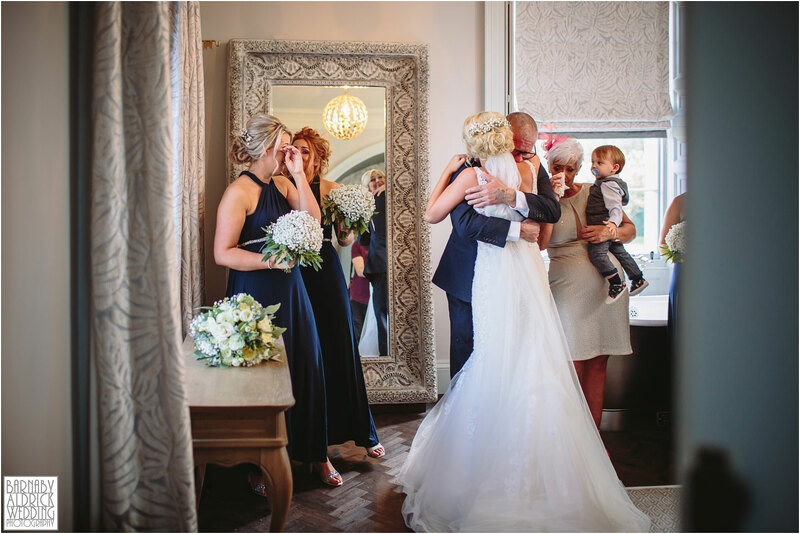 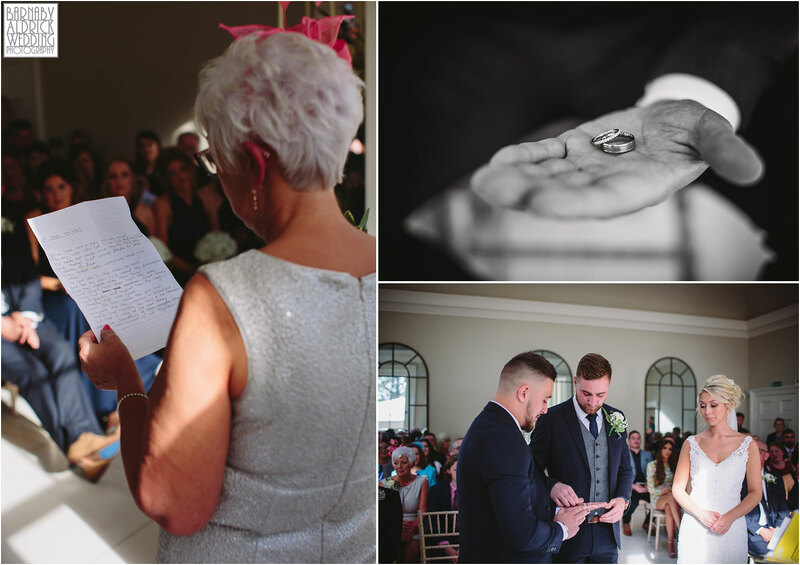 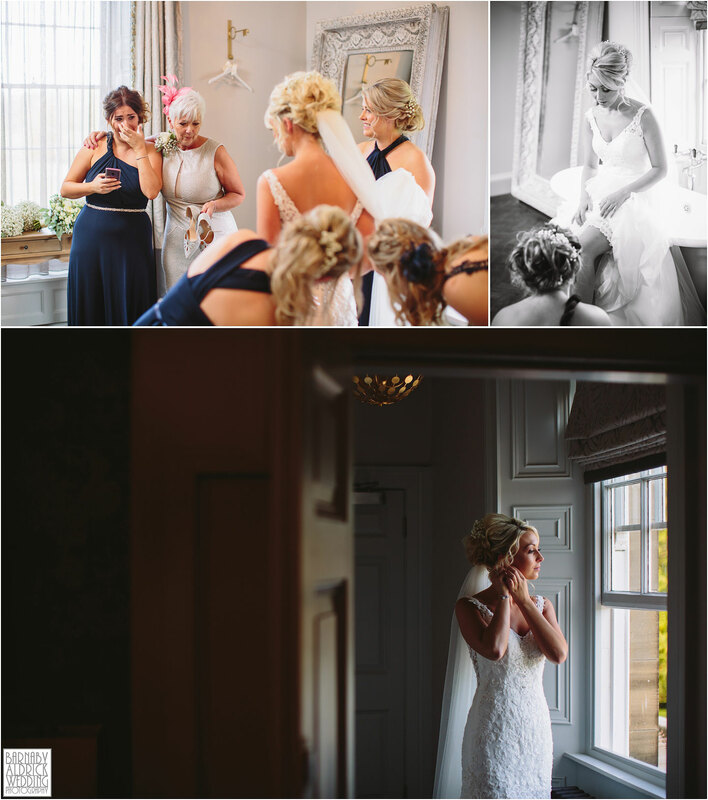 Morning preparations for me were that perfect blend of smart, fun and emotional and it was an absolute joy to see Kim’s dad and girls shedding a few tears and having a big group hug before heading down to the ceremony). 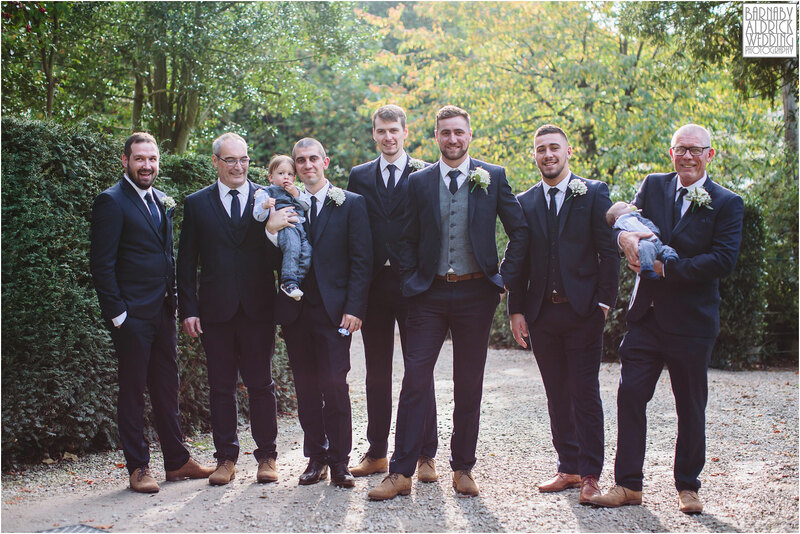 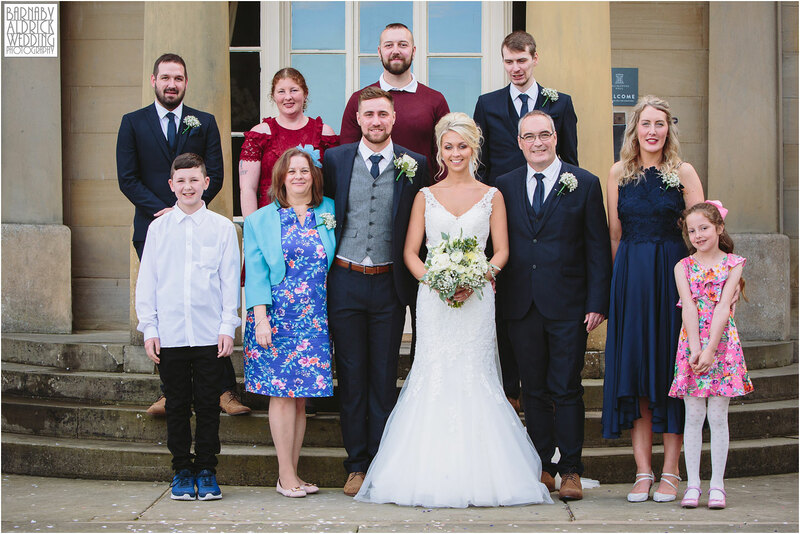 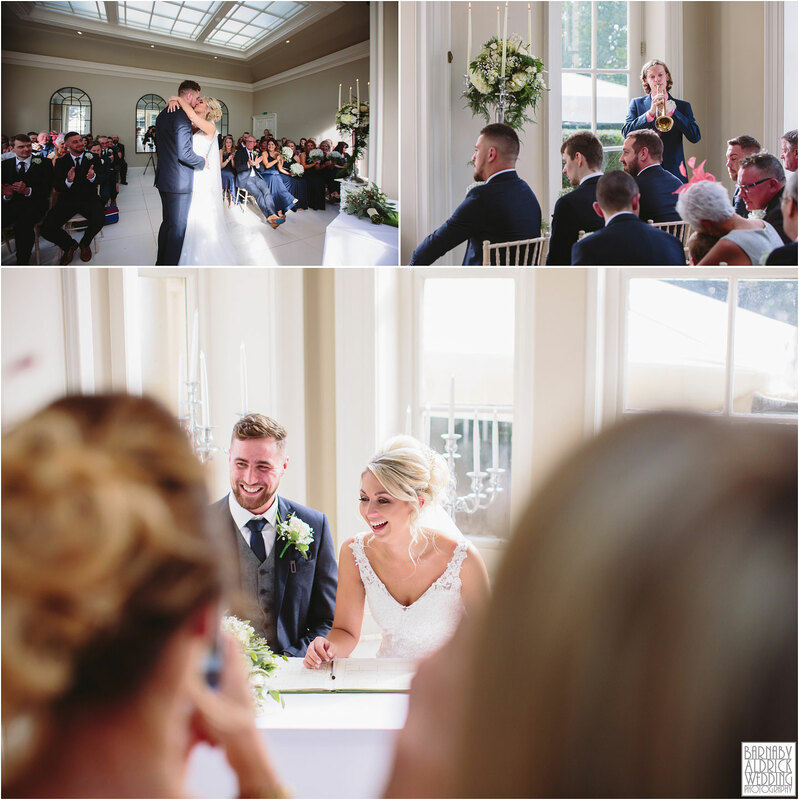 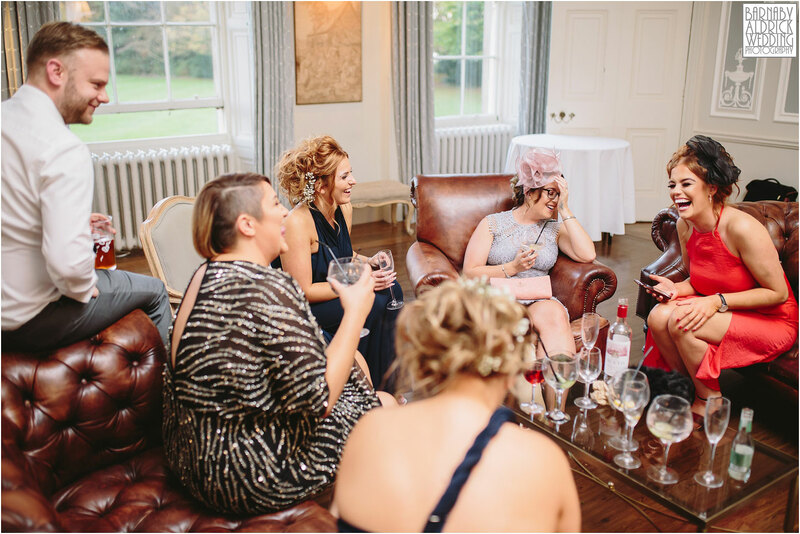 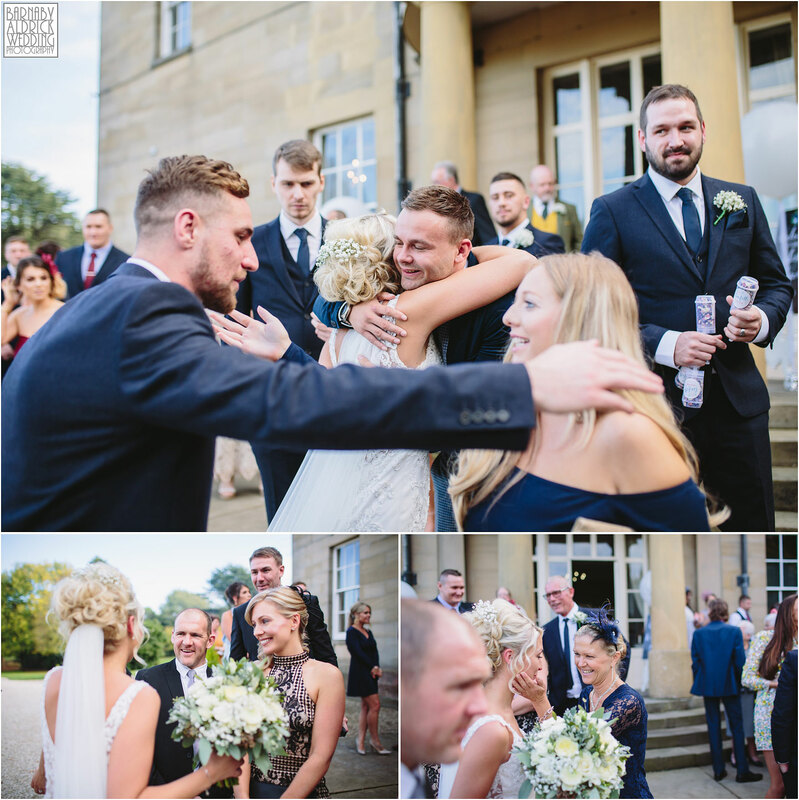 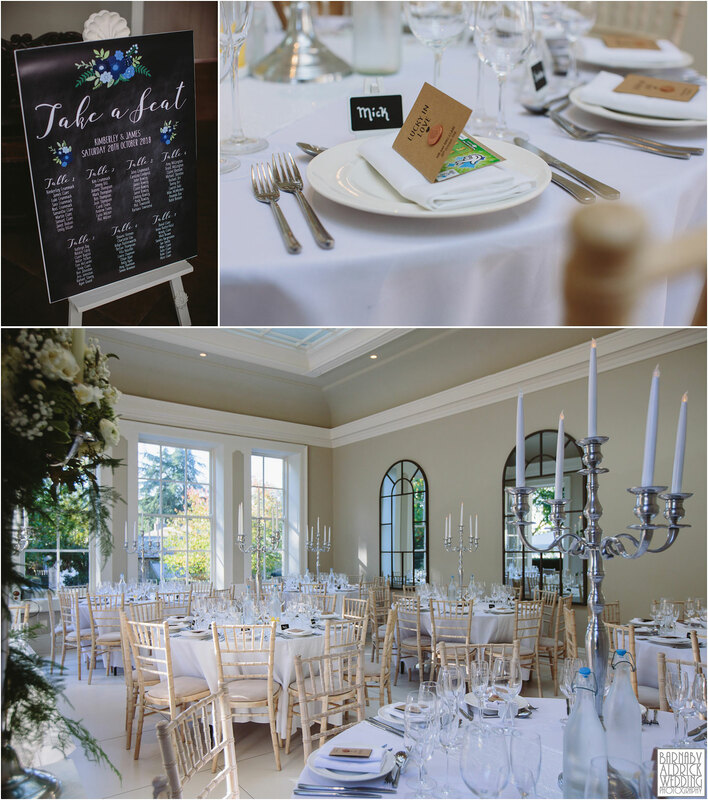 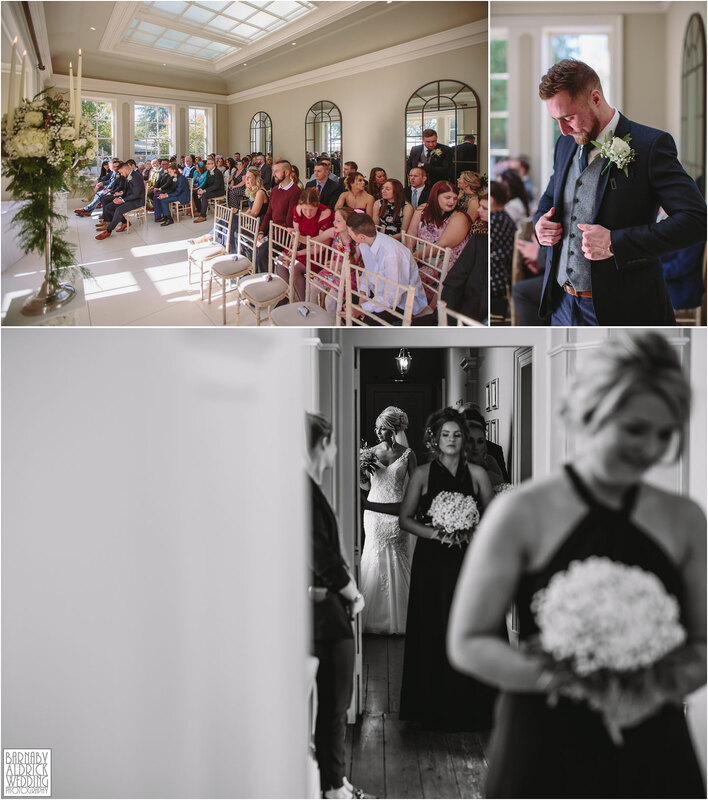 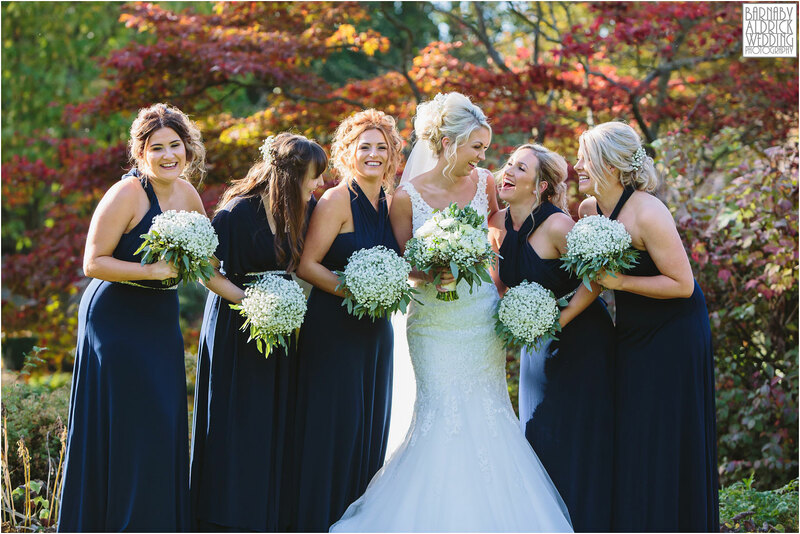 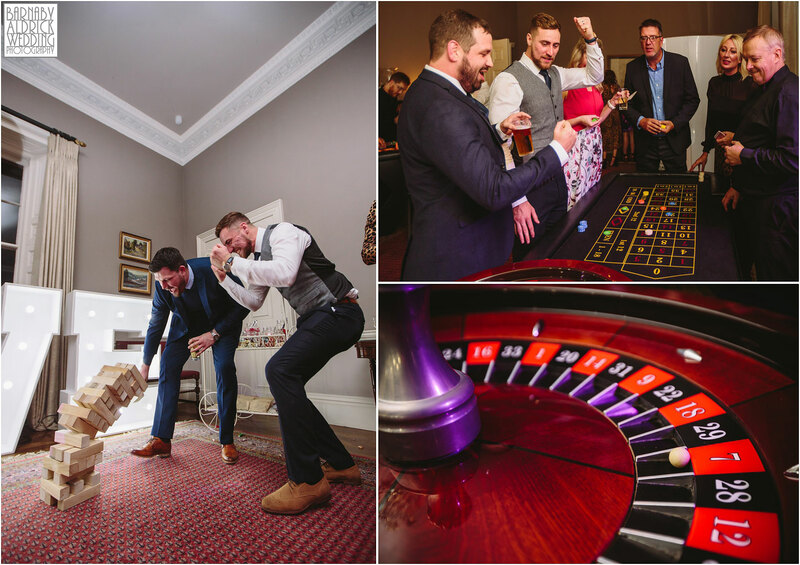 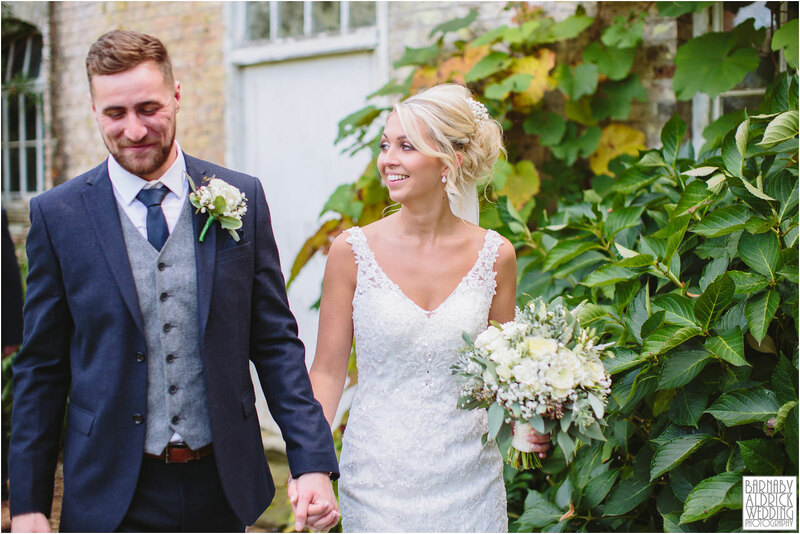 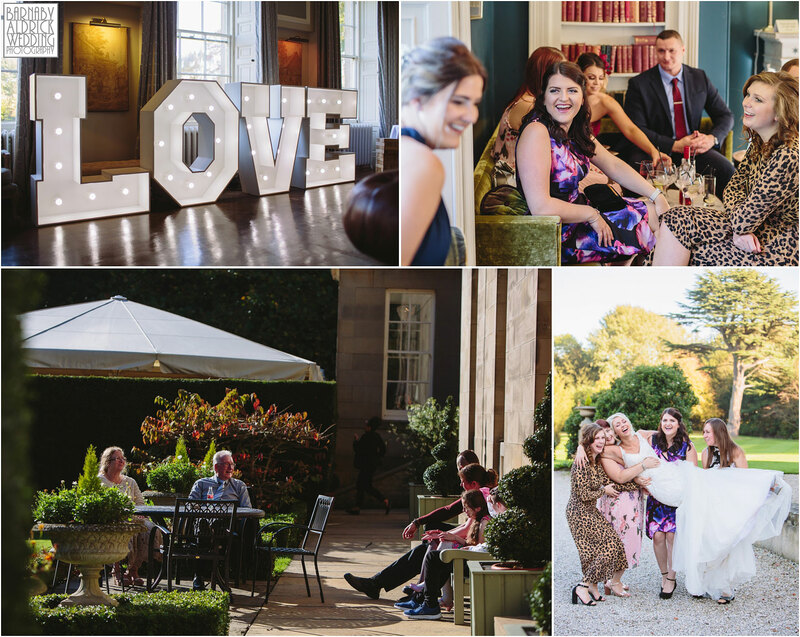 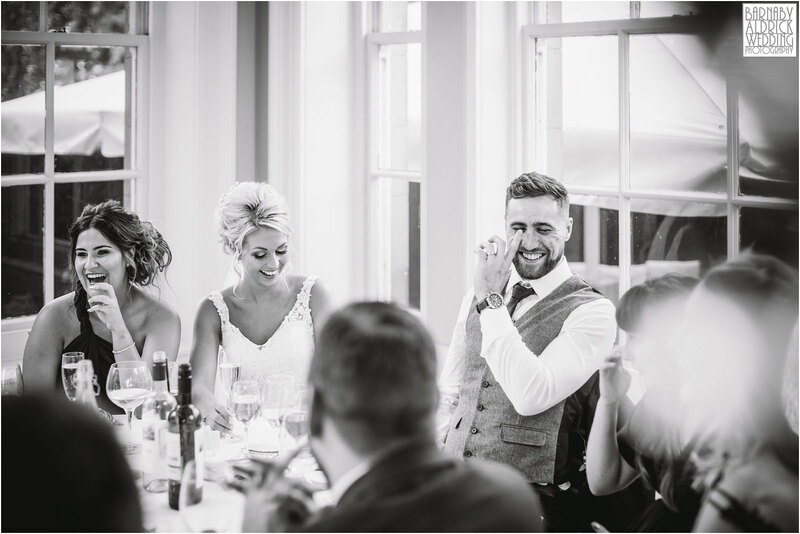 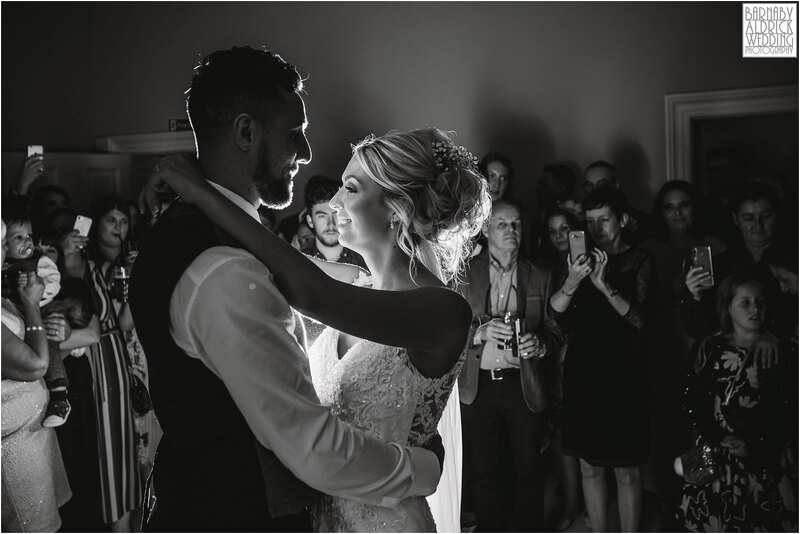 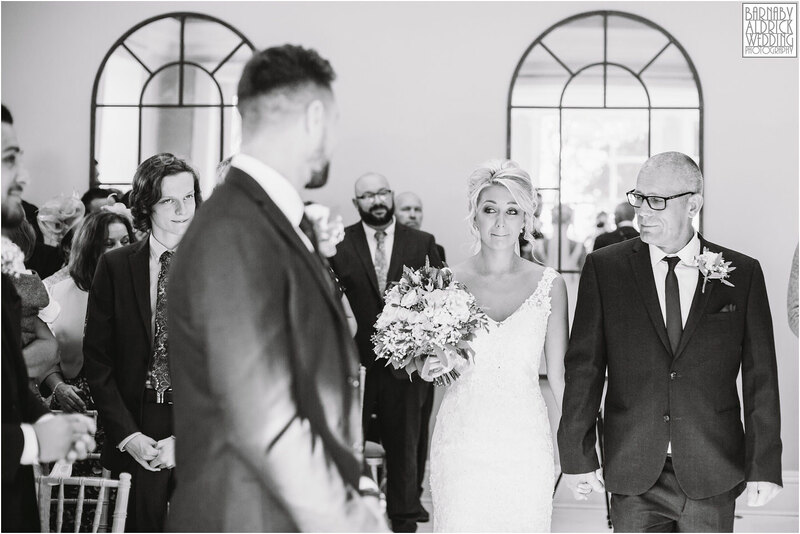 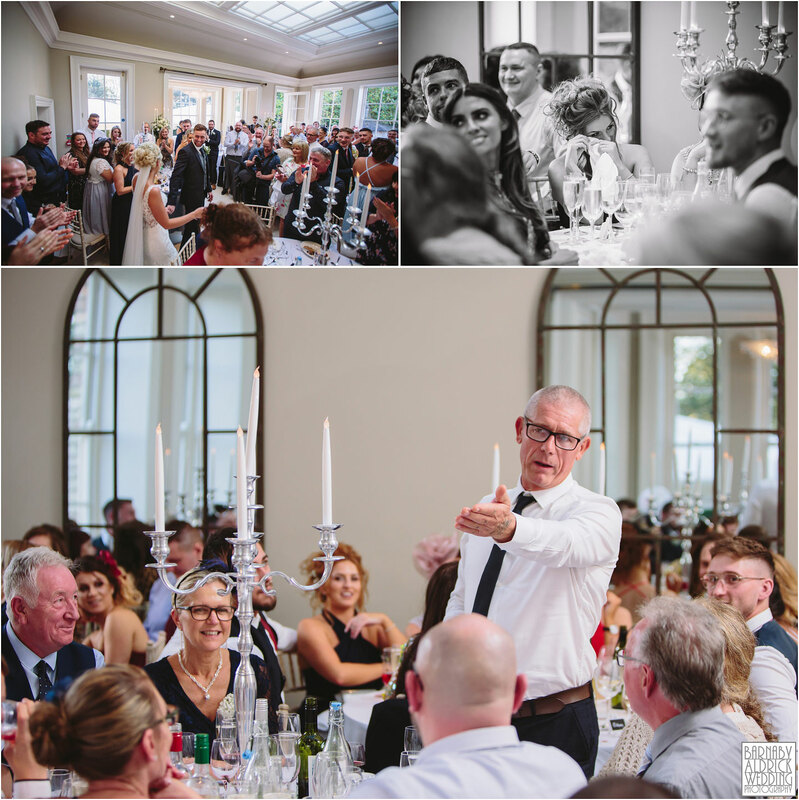 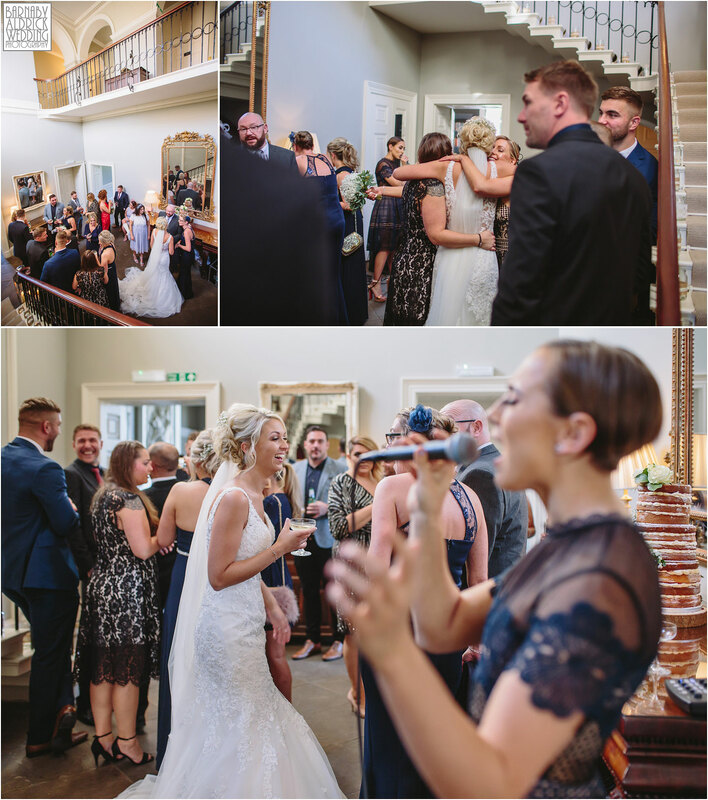 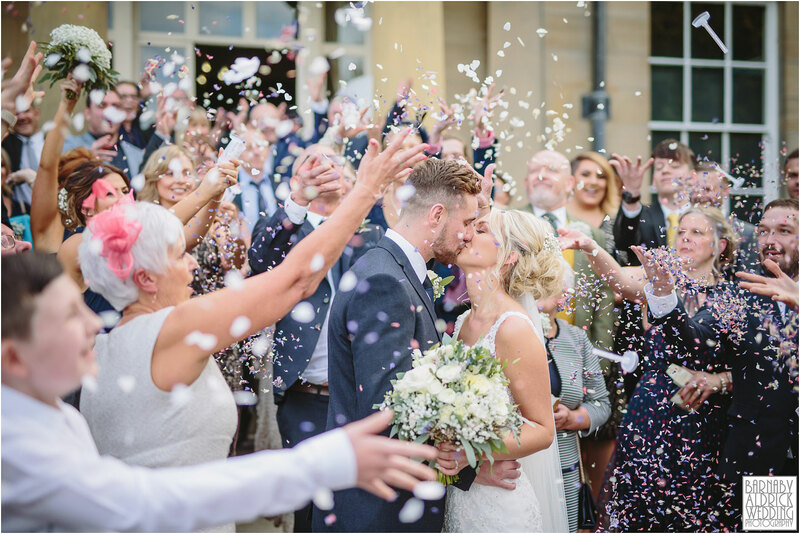 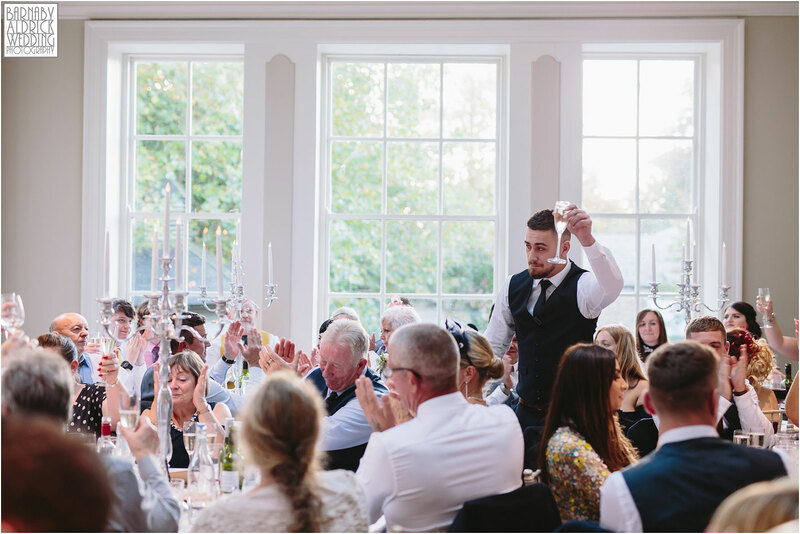 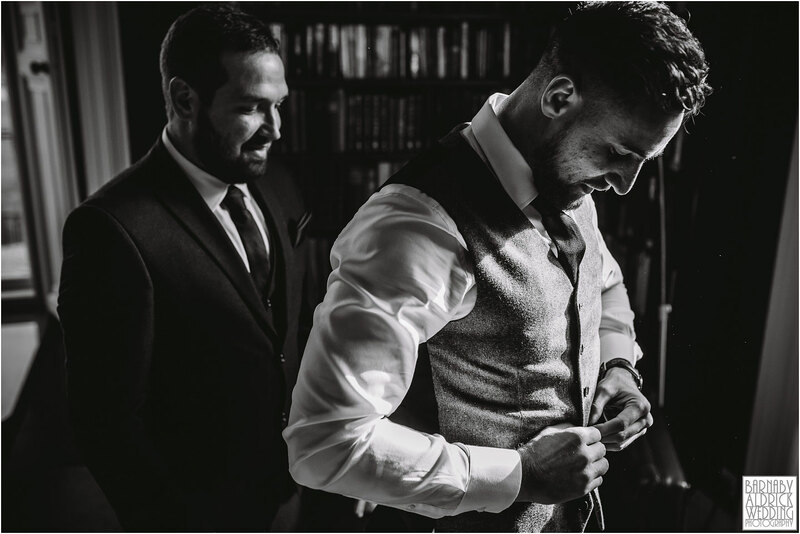 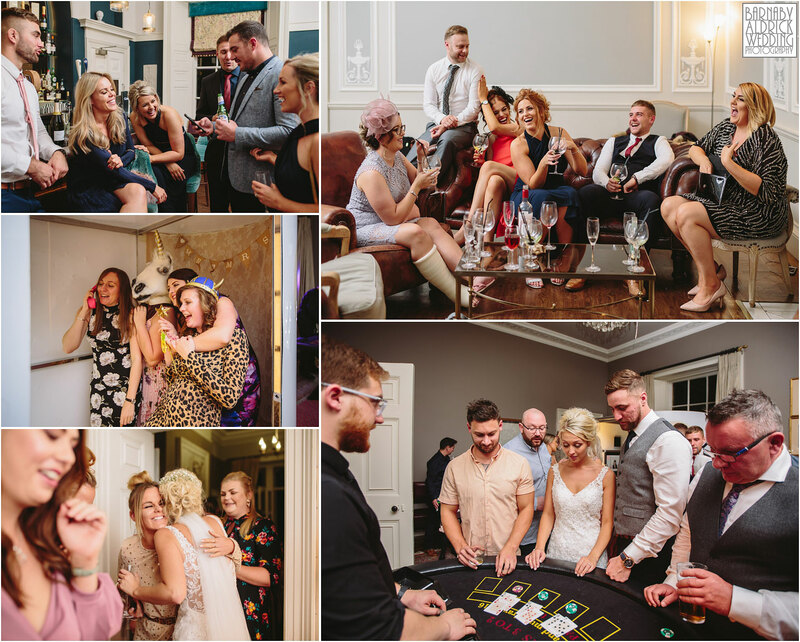 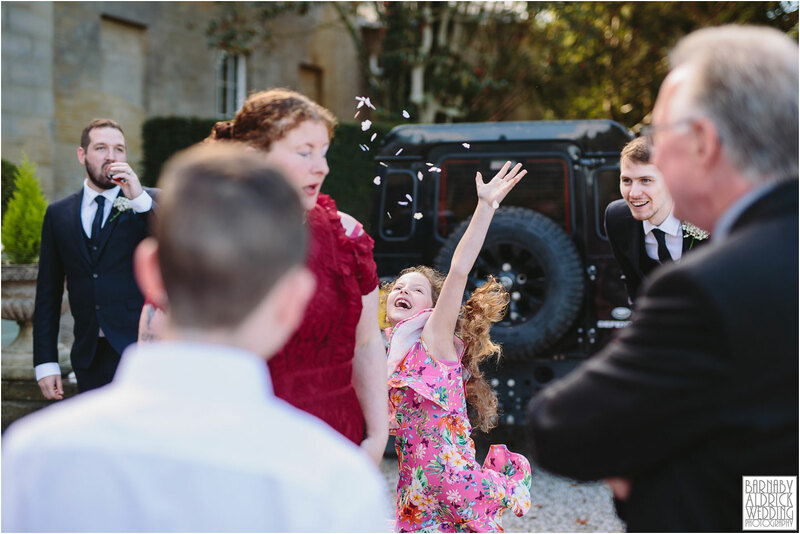 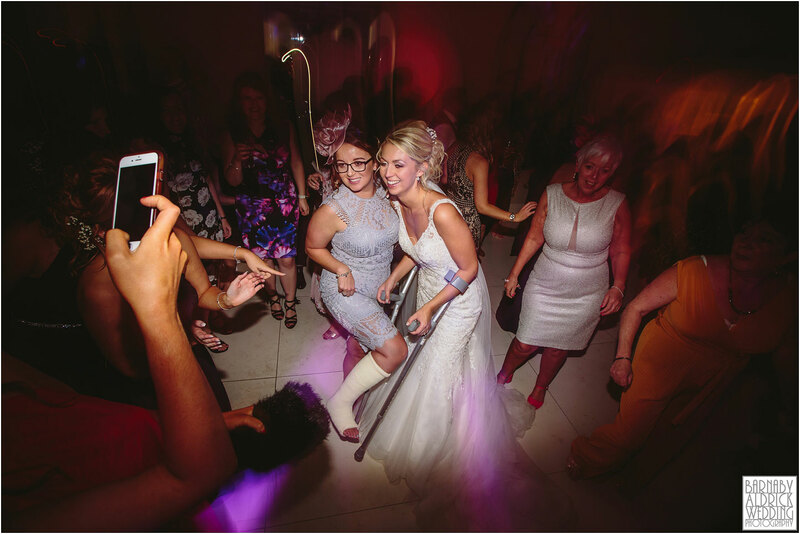 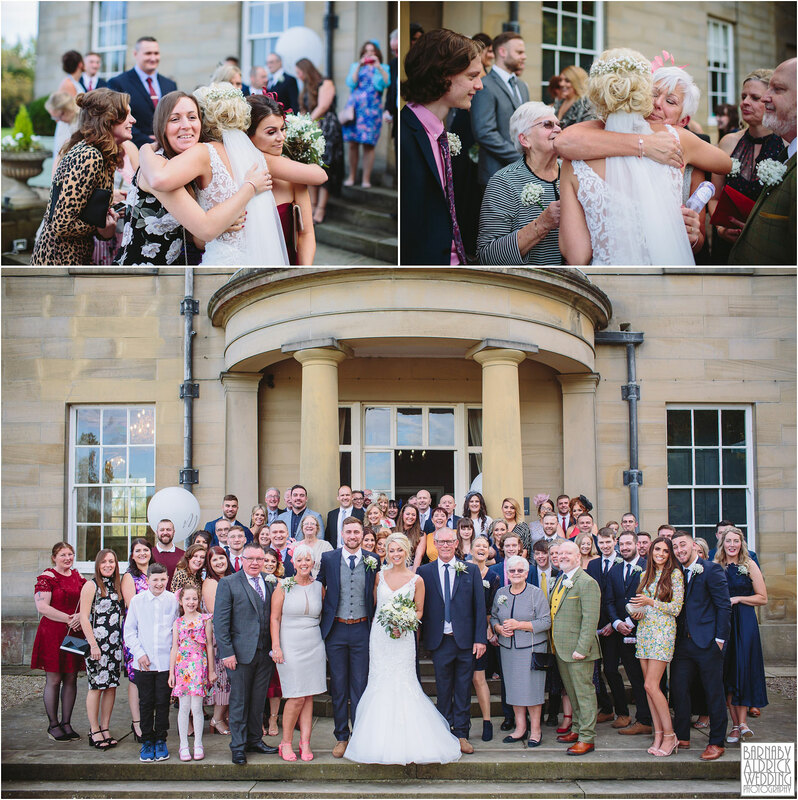 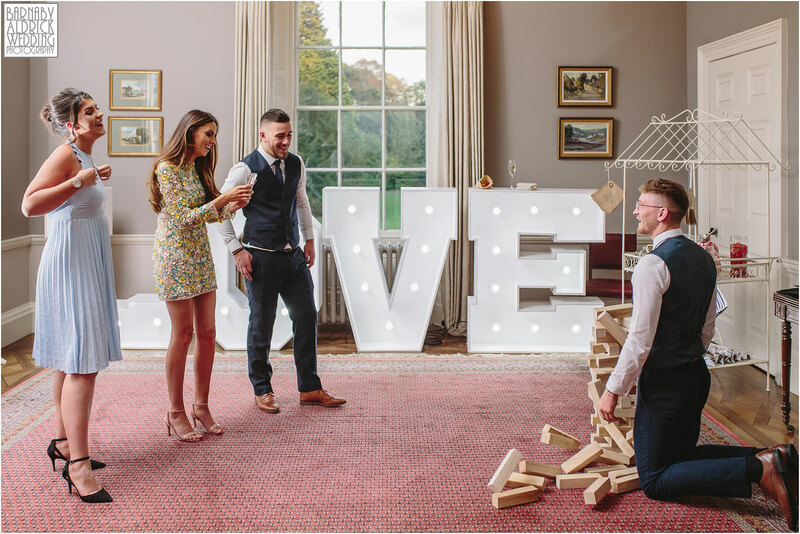 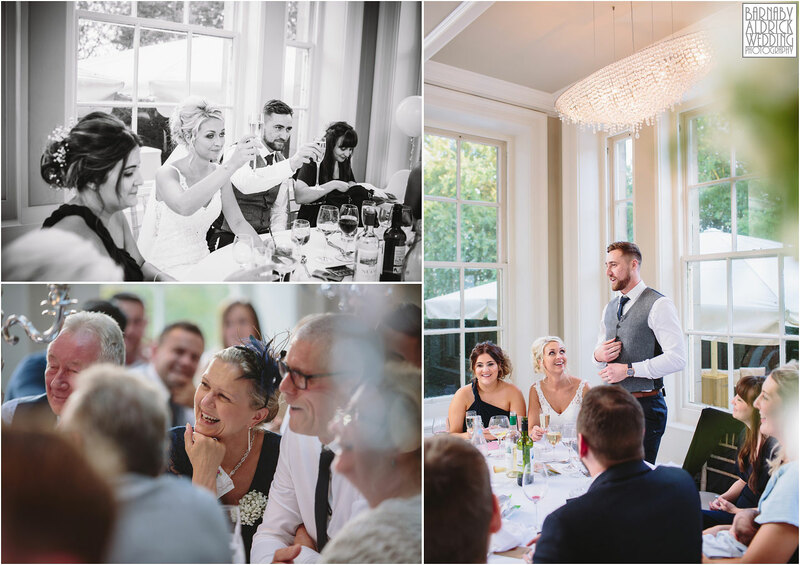 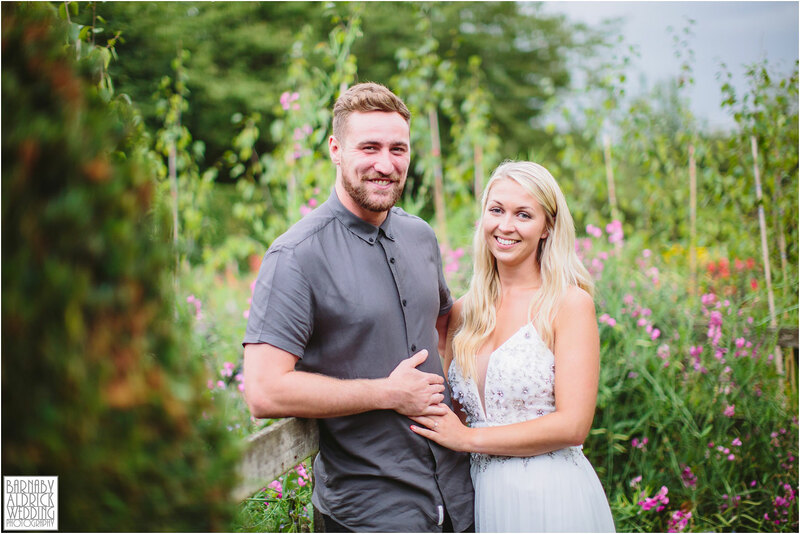 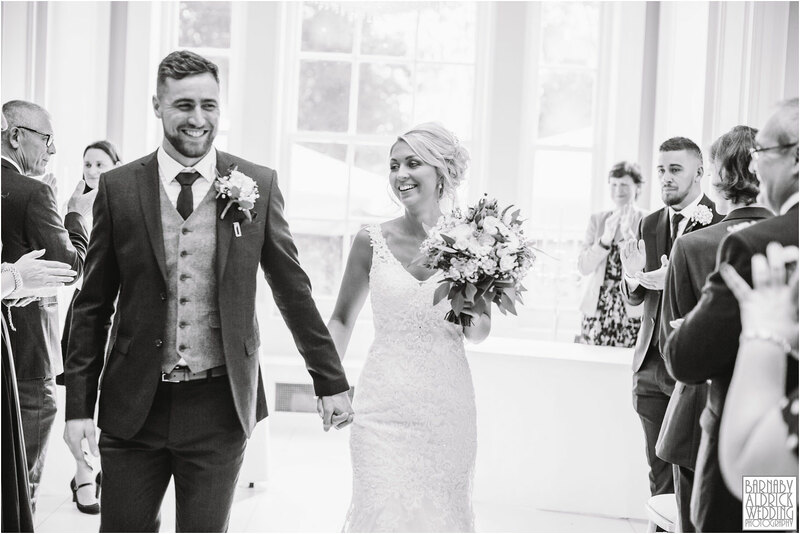 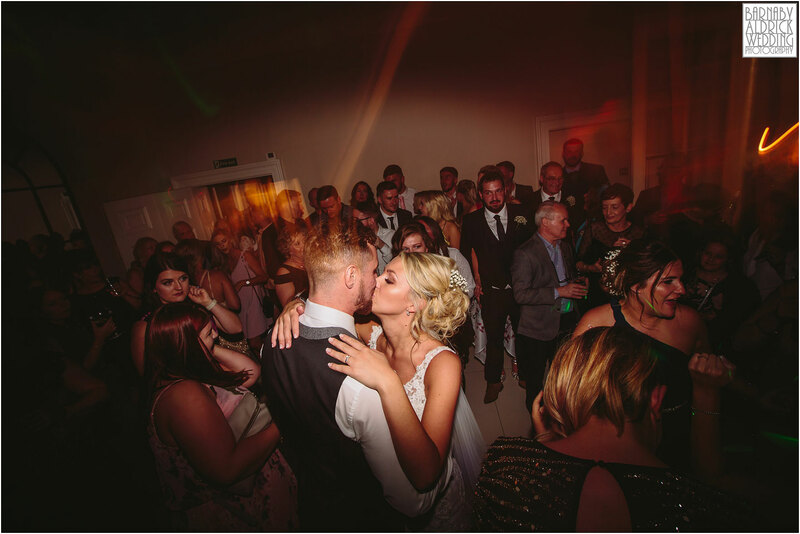 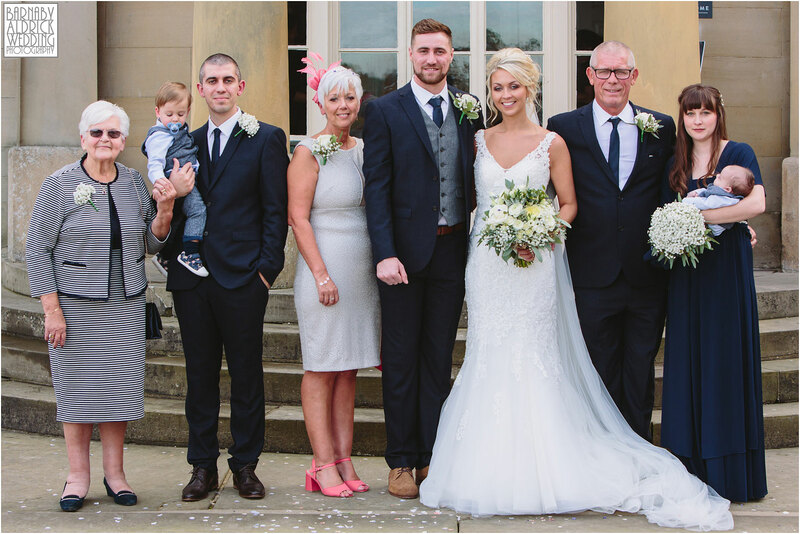 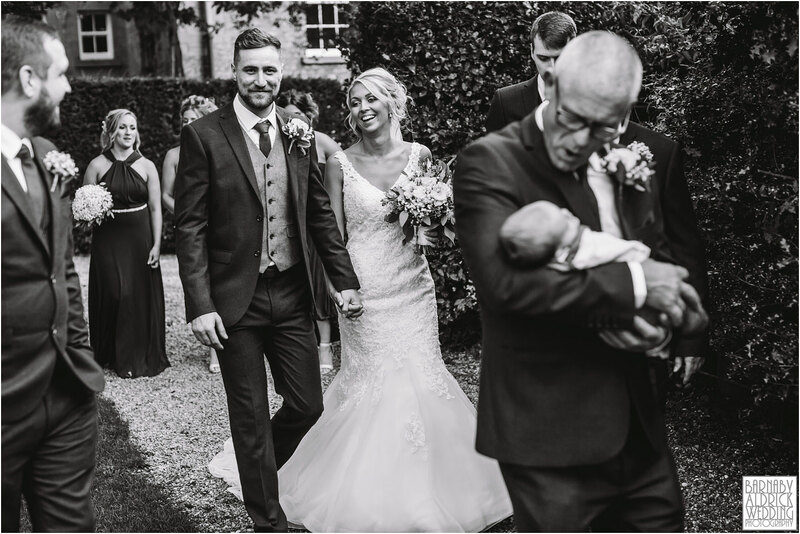 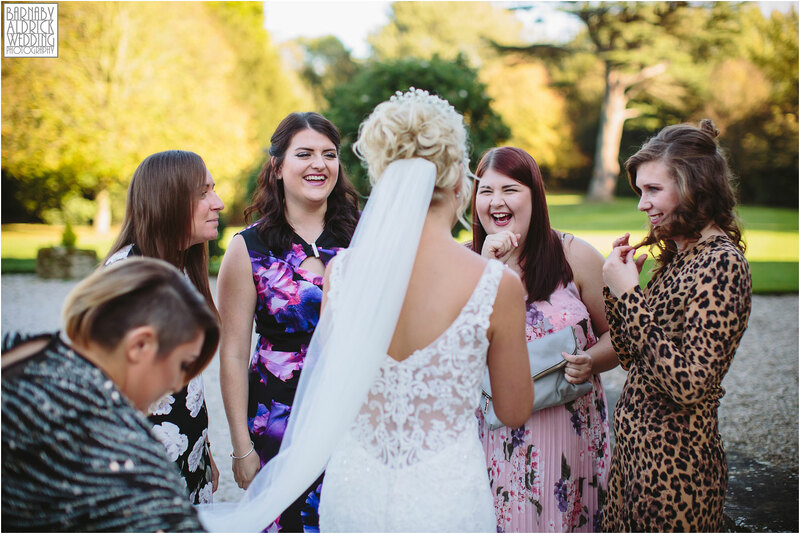 The day then went off without a hitch – the sun shone, relaxed guests mingled around the house and lawns, and the wedding party were all game for a laugh. 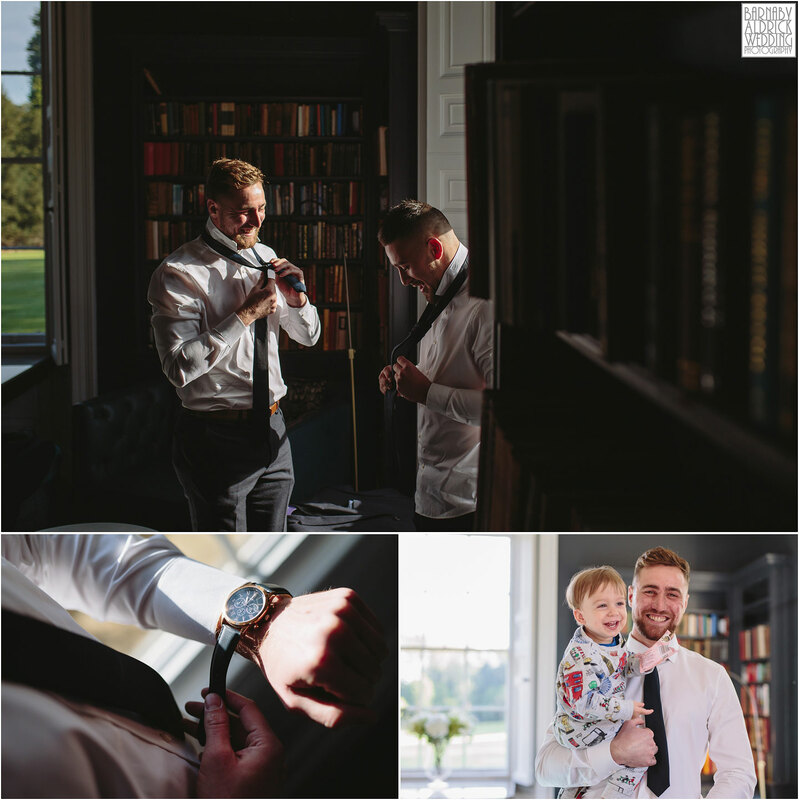 But most of all, it was just lovely to hang with Kim + James, who are a wonderfully tender pair who clearly love each other very much. 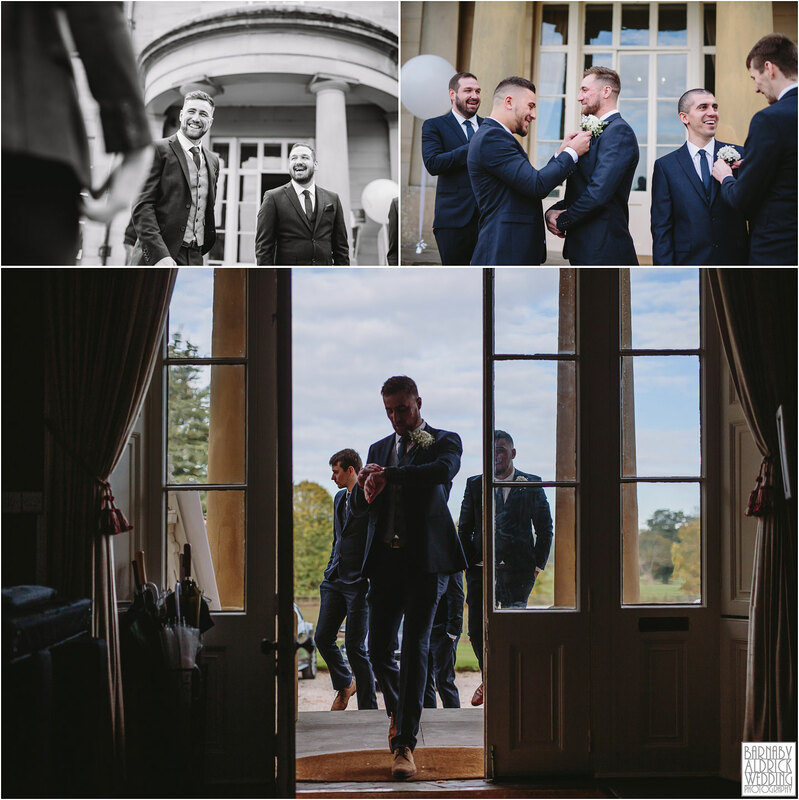 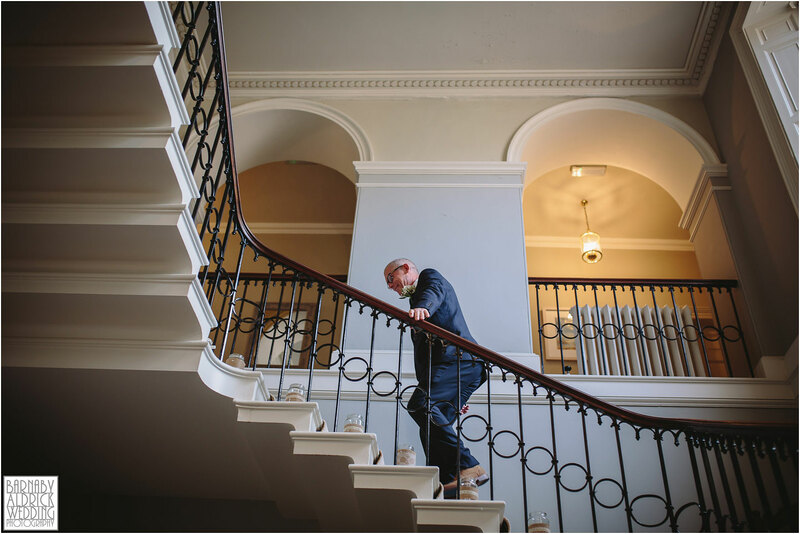 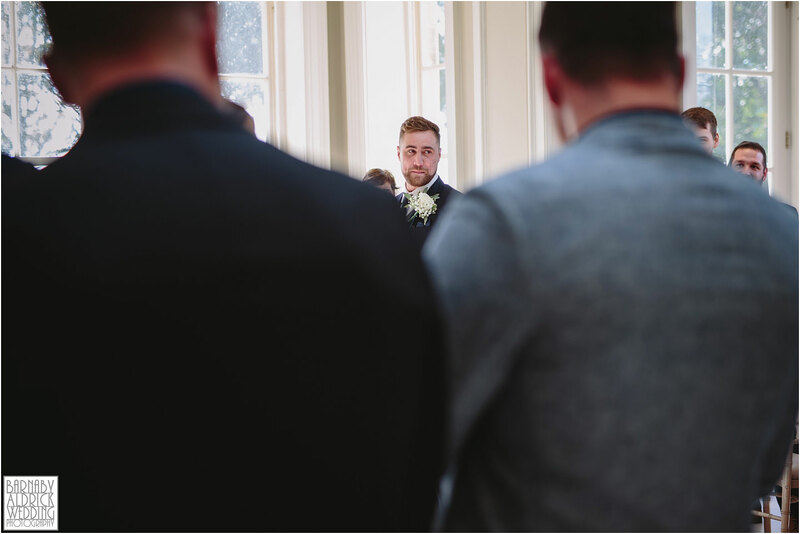 James is a sensitive soul – in spite of the usual cliche’s surrounding the laddy world of professional rugby stars – and it was a joy to see and photograph. 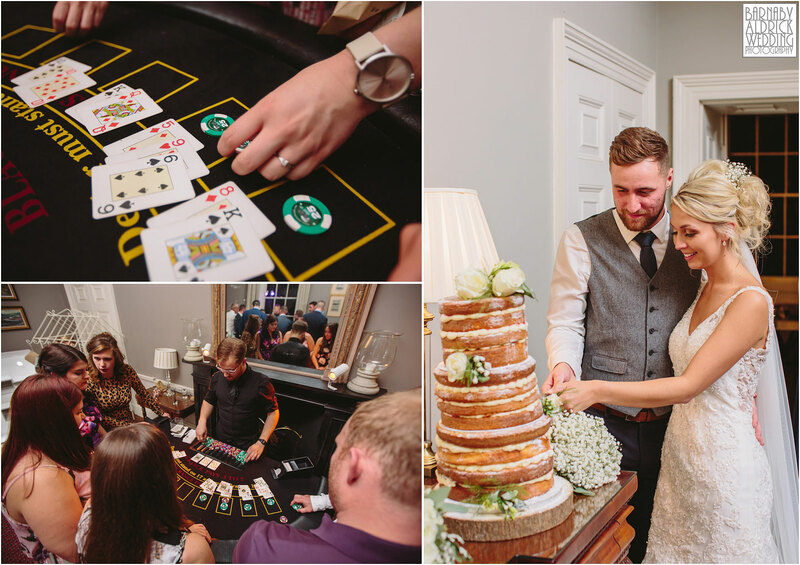 The evening knees up was just as fun, as a photobooth, giant jenga and a casino were laid out for the night-time entertainment! 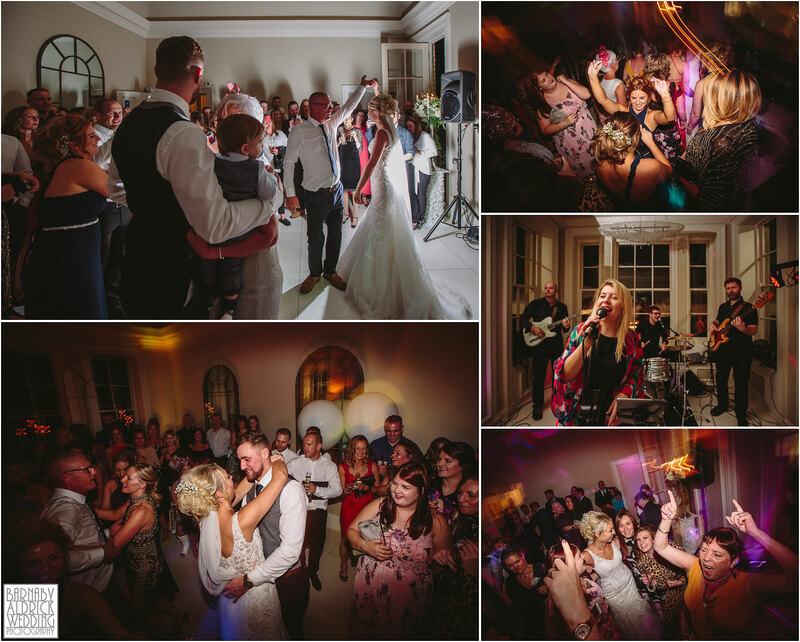 The band were ace too, and we left everyone getting down to the grooves after what was all in all a perfect day! 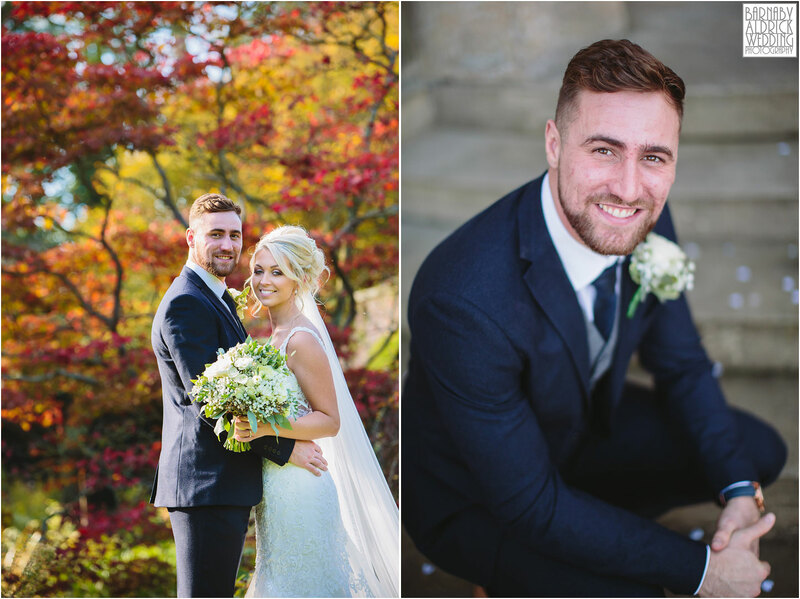 We were also joined by video team Sam + Martyn of Moss Wedding Films – and I can’t wait to see what they captured with their drone footage! 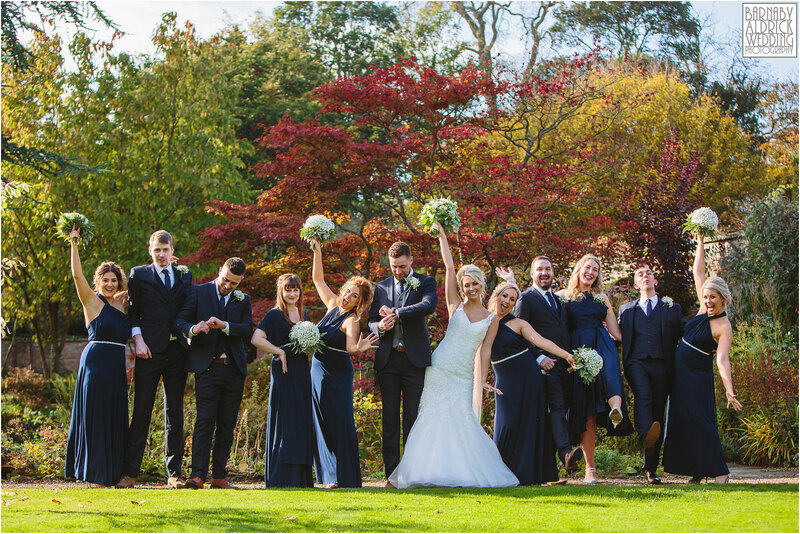 What a perfect day hey?! 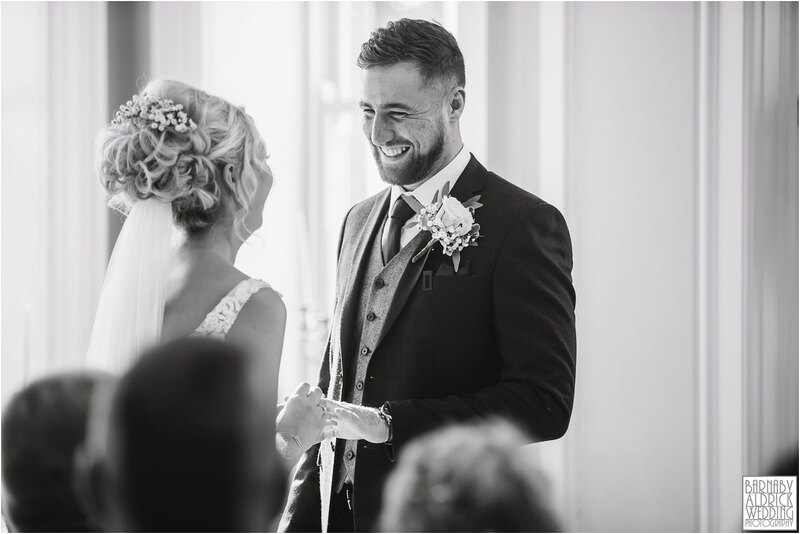 Here’s wishing this lovely pair huge congratulations and all the very best in married life together?